For the uninitiated, Celtic Connections is one of the most exciting intermixes of Celtic Music in the world, certainly the main celebration of this sort in the UK. For a whole two and a half weeks, from the 17th of January to the 3rd of February, over two thousand musicians come to Glasgow to play and share Folk, Roots, World and Traditional music. As the name suggests, the aim of the festival is to celebrate the significant historical and cultural impact of Celtic music, and this month musicians will come to Glasgow to celebrate just that, from all over the world. You won’t be able to move in the city over the next few weeks for stumbling into an underground gig, massive concert or spontaneous pub session at what-time-do-you-call-this in the morning, with some amazing artists famed as the best musicians in the world at their craft. 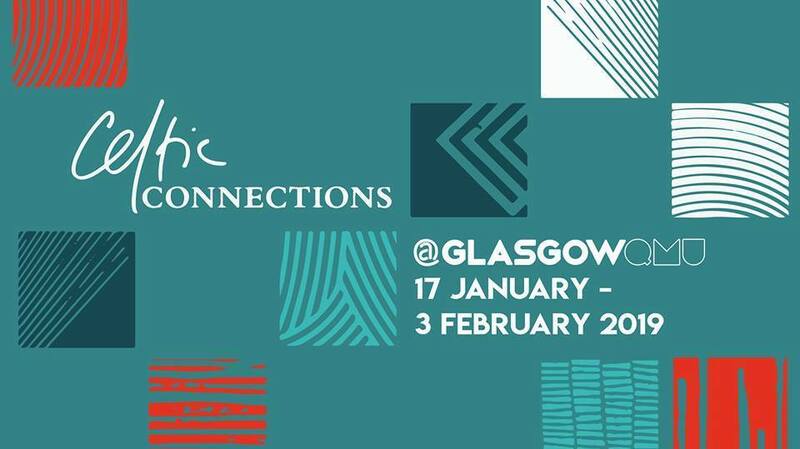 This year we are very lucky at QMU to be one of the venues for Celtic Connections, we’re hosting Elephant Sessions, Seth Lakeman and Distant Voices, among others so it’s an even better opportunity to get involved in Celtic Connections as a student at Glasgow University! But you can find all the events – listed by artist, genre, venue and date respectively – at celticconnections.com; I can assure you that anything you spontaneously stumble onto will be worth the time. If you’re a music lover, this is an event you need to participate in, both to support music as a thriving and exciting industry and to support the city that allows it to thrive in the first place. The Celtic spirit of collaboration applies – all are welcome here. Dhuibhse aig nach eil fios, tha Celtic Connections mar aon de na h-eadar-mheasgachaidhean de cheòl Ceilteach as brosnachaile air an t-saoghal, agus gun teagamh sam bith ’s e am prìomh shubhachas den t-seòrsa seo san Rìoghachd Aonaichte. Thar dà sheachdain gu leth bho 17 Faoilleach gu 3 Gearran, bidh còrr air dà mhìle neach-ciùil a’ tighinn a Ghlaschu a chluich agus a thaisbeanadh ceòl dùthchasach, freumhach, cruinneil agus traidiseanta. Mar a tha an t-ainm ag innse dhuinn, is e amas na fèise buaidh shònraichte eachdraidheil is chultarach a’ chiùil Cheiltich a chomharrachadh, agus air a’ mhìos seo thig luchd-ciùil a Ghlaschu bho air feadh an t-saoghail gus dìreach sin a dhèanamh. Cha tèid agad air gluasad sa bhaile thar nam beagan sheachdainean a tha romhainn gun tighinn thairis air tachartas ciùil fo-thalamh, cuirm-chiùil mhòr no seisean obann ann an taigh-seinnse aig uairean beaga na maidne, le luchd-ciùil iongantach aig a bheil cliù mar an luchd-gnìomha ciùil as ealanta air an t-saoghal. Am-bliadhna tha sinn glè fhortanach gu bheil an QMU mar aon de na h-ionadan-cruinneachaidh aig Celtic Connections, agus bidh sinn a’ toirt aoigheachd do Elephant Sessions, Seth Lakeman agus Distant Voices am measg fheadhainn eile, mar sin ’s e cothrom fiù ’s nas fheàrr a th’ ann a thighinn an lùib Celtic Connections mar oileanach ann an Oilthigh Ghlaschu! Is urrainn dhut na tachartasan uile a lorg – air an liostadh ann an òrdugh neach-ealain, gnè, ionad-cruinneachaidh agus ceann-latha – aig celticconnections.com; tha mi glè chinnteach gun fhiach tachartas sam bith èisteachd ris, air an tig thu tarsainn gun fhiosta. Ma tha thu measail air ceòl, ’s e tachartas a tha seo anns am feum thu com-pàirteachadh, an dà chuid mar thaic do cheòl mar ghnìomhachas soirbheachail is brosnachail agus gus taic a chur ris a’ bhaile-mhòr a tha a’ ceadachadh dha soirbheachadh sa chiad àite. Tha spiorad Ceilteach co-obrachaidh gu mòr am follais – bidh fàilte air na h-uile an seo.